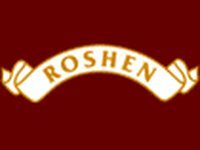 Products from Ukraine's Roshen confectionary corporation, banned earlier by the Russian health and consumer rights watchdog Rospotrebnadzor, could return to the Russian market by March 1, 2014, while certificates for Ukrainian wagons will be resumed by February 1, 2014, the Economic Development Ministry of Russia told Interfax. The decisions are stipulated in the action plan on the settling of trade restrictions in bilateral trade for 2013-2014, which Ukrainian and Russian economy ministers signed after the sixth meeting of the Ukrainian-Russian interstate commission held on December 17, 2013 in Moscow. The source said that the plan contains a clause that the sides will take all the required measures to normalize trade with confectionary made by Roshen by March 1, 2014. The document foresees the resumption of the certificates for supply of wagons made by Ukraine's Azovobschemash, Dniprovahonmash, Kriukov Car Building Works and Stakhanov Wagon Plant. The source said that Russia would promote the organization of the checks at Ukrainian wagon building companies, which aims at resuming certificates for wagons issued earlier before February 1, 2014.